For a film of such age the blu-ray transfer looks amazing. Warner Archive curated a brand new master and the film has great colors and skin tones from this 1959 classic. Another stellar Warner Archive release. 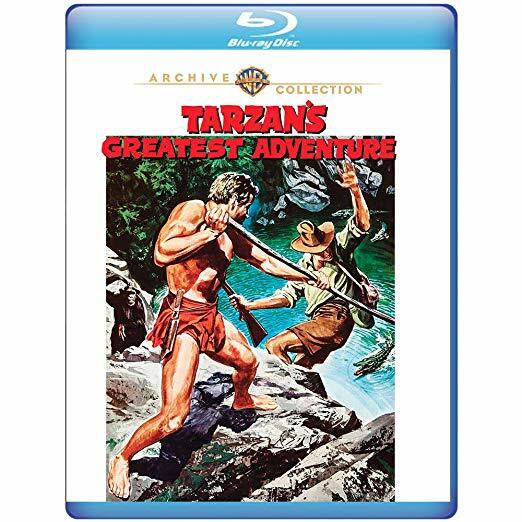 TARZAN’s GREATEST ADVENTURE has a DTS HD Master Audio Track along with English 2.0 Mono track. Both do a fine job encapsulating what this film was of the time and even more so in this blu-ray treat today. This week's Blu-ray releases for October 11th, 2016.